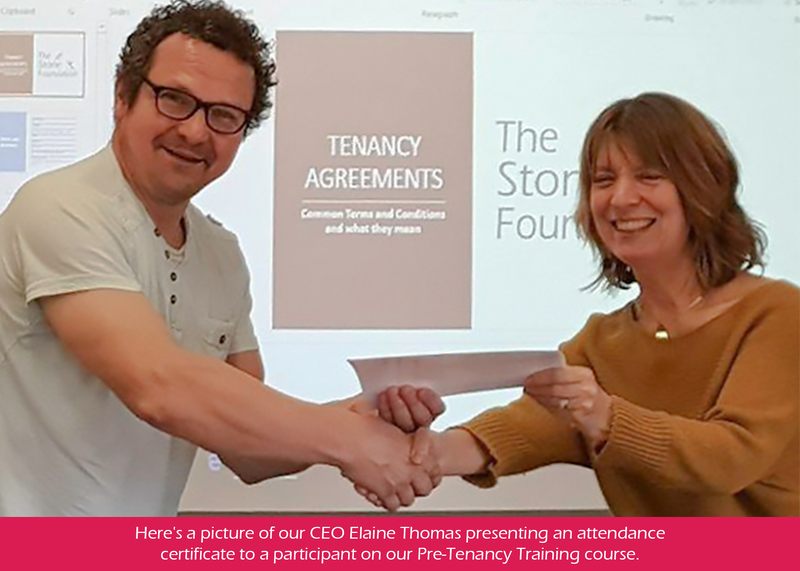 The Stone Foundation launched Pre-Tenancy Training in 2018 and completed a series of pilot courses held in Ipswich. Feedback from everyone who came along was very positive indeed, including comments from some of the guest speakers – Nat West, Ipswich Building Society, Haven Power and the CAB. Pre-Tenancy Training enables new tenants or those who are soon to be living independently in a tenancy, the skills needed to sustain and maintain a tenancy. The training delivered is from the Money House, Greenwich – a project that was launched by the Hyde Group in 2012. In this time they have gone on to train over 600 participants in managing their own home and budgeting – empowering young people with essential life skills and a base from which to grow. Pre-Tenancy Training is proven to reduce the risk of homelessness and ensures vulnerable or young people get the support and knowledge to run a home of their own. The training is fun and interactive, delivered through a range of resources creating a supportive environment, not classroom based. Interactive quizzes and games, as well as facilitated discussion, build confidence and understanding on the subject. The training covers core modules as well as flexible modules depending on the group participants and what is most useful for them. There are guest speakers providing expert support and guidance, as well as mixing up the delivery – these are from local organisations and businesses. Cooking meals on a budget is woven into the course and experiential learning takes place by the group taking the lead in cooking healthy lunches for themselves. The Stone Foundation is now is a position to run Pre-Tenancy Training in 2019 for a further 6 months at no cost to the participants or referrers. That's right it will be completely FREE. The courses will be one per month, 1 day over 3 consecutive weeks. We are now taking referrals for March 2019. The courses will be held in Ipswich from our training house Macaulay Road - easily accessible via bus from Ipswich Town Centre.